The chairlifts start spinning for another season of lift-served biking, hiking, disc golf and archery at Crested Butte Mountain Resort. 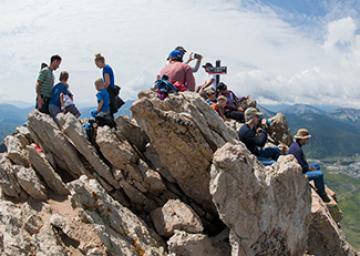 Hikers utilize both the Red Lady Express and Silver Queen lifts for access to astonishing views and trails. Bikers can utilize the bike load on the Red Lady Express lift to transport their bikes up and save their legs for the downhill. Check out Evolution Bike Park’s updated trail alignments and fresh berms, and visit the Evolution Bike Shop while you are on the mountain to demo the latest and greatest bikes from SCOTT Sports! Hours of operation are always weather permitting.